Daniel Jorjani, a former Koch brothers adviser who once told colleagues “our job is to protect the Secretary,” now oversees the agency’s FOIA program. Interior Secretary Ryan Zinke has put political appointee Daniel Jorjani in charge of overseeing all public information requests sent to the agency. 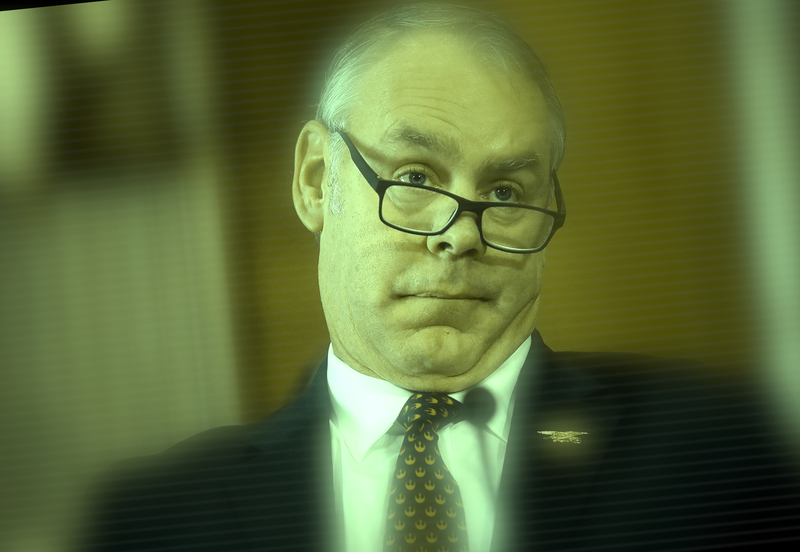 Jorjani once told Interior colleagues that their job is ultimately to protect Zinke from ethics probes and bad press. Daniel Jorjani, Interior’s principal deputy solicitor and a former adviser for Charles and David Koch, takes over as the chief officer of the agency’s Freedom of Information Act program, according to an order signed by Zinke on Nov. 20. The change, which was flagged Monday by the environmental nonprofit Center for Biological Diversity, strips the transparency authority from the agency’s chief information officer. Sylvia Burns served in that role for four years before joining the Federal Deposit Insurance Corp. in September. A loyal member of Zinke’s team, Jorjani has done his best to keep his boss out of trouble. As HuffPost reported in May, he took six months to respond to investigators probing Zinke’s apparent effort to bully Sen. Lisa Murkowski (R-Alaska) into supporting Obamacare repeal last year, only to dodge their questions entirely. And in a March 2017 email to colleagues, Jorjani boasted that he had “successfully protected” Interior presidential appointments facing investigations and that their main responsibility was to do the same for Zinke. “At the end of the day our job is to protect the Secretary,” he wrote. Zinke has faced at least 18 formal investigations ― several of them ongoing. In his order, Zinke pegged the change to an “exponential increases in requests and litigation” and the FOIA program’s “decentralized structure.” He noted that records requests to the agency increased 30 percent between fiscal years 2016 and 2018. “Some Bureaus and Offices have been hit especially hard,” he wrote, adding that his office has seen a 210 percent jump since 2016. During a budget hearing before the Senate in early 2018, Zinke said he intended to run “the most transparent Interior.” But critics see transferring FOIA responsibilities from a career staffer to the agency’s top legal operative as a strategic move to keep sensitive public information from surfacing. Meg Townsend, the Center for Biological Diversity’s open government attorney, accused Zinke of “politicizing” the FOIA process. Since joining Interior, Jorjani has met extensively with industry lobbyists, trade groups and corporate executives. Last year he authored a legal opinion that protects energy companies and other parties from being prosecuted under the Migratory Bird Treaty Act for unintentionally killing birds. I cant imagine (!) why there has been such an increase in FOIA requests! Oddly enough between 2016 & 2018 ! I hope the new “broom” can sweep some of this dirt away. Ryan Zinke’s swamp-soaked stable of advisers. Since 2011, he has collected at least $700,000 from the Kochs, working as a researcher, operative, and lawyer for several of the conservative megadonors’ institutions. As Interior’s top lawyer, he’s developed a reputation as a powerful “troubleshooter” close to Secretary Zinke, according to the Washington Post. He rescinded an Obama-era interpretation of the Migratory Bird Act allowing prosecution of businesses that accidentally kill birds after taking dozens of meetings with representatives from trade groups and industry lobbyists. thousands of acres of Colorado land to oil and gas developers below market price. “A new Interior Department rule could make it harder for news organizations and nonprofits to get public information from the government. Filed to the Federal Register between Christmas and New Years on Friday, the suggested rule would change the way the agency must file Freedom of Information Act (FOIA) requests by relaxing timelines by which information must be handled and increasing the burden on requesters to be specific in what they are looking for. The changes, critics say, will ultimately make it harder for people to get the government documents they are seeking, and could add to the already high number of FOIA lawsuits against the Trump administration. “I think this is a problem that they have created for themselves, by failing to be transparent, by failing to make documents available to the public and this is going to make it worse,” said Nada Culver, senior counsel at The Wilderness Society. The rule change, quietly submitted to the Federal Register during a government shutdown without any public press release by the agency, changes many aspects of which FOIAs will be processed in the future. Some of the changes include requiring FOIA requesters to be more specific in their searches in order to alleviate Interior of “an unreasonably burdensome search,” potentially placing limits on the number of FOIA requests each group or person can send monthly in order “to treat requestors equitably,” and giving the agency more flexibility in putting requests on a slower processing track. An Interior Spokesperson would not answer questions about rule change, citing the government shutdown. The rule was signed by Principal Deputy Solicitor Daniel Jorjani, a former adviser to Charles and David Koch. Outgoing Interior Secretary Ryan Zinke in November quietly issued a secretarial order giving Jorjani the authority to oversee all FOIA requests at the agency. Jorjani had been serving as acting solicitor and would serve as chief FOIA officer, according to the Nov. 20 decree. Zinke’s order from November hinted that Jorjani’s role change was tied to a historical uptick in FOIA requests, which the agency blamed on the system’s response structure. President Trump announced in early December that Zinke would be exiting the administration at the end of the year. Zinke leaves Interior on the tail of a number of ethics scandals including a DOJ referral but a government watchdog to investigate a land deal he entered into with the chairman of Haliburton, an oil services company. “These changes are designed to facilitate more official stonewalling and delays in producing public records, especially on fast developing news stories,” said Jeff Ruch, executive director of Public Employees for Environmental Responsibility (PEER), in a statement. “Interior current political appointees prefer to operate in secrecy and regard the Freedom of Information Act as a nuisance, not a responsibility,” he said. Interior’s FOIA office has seen a 30 percent increase in requests between fiscal years 2016 and 2018, according to the administration. The agency’s Office of the Secretary, which oversees requests related to Zinke and his political staff, said there has been a 210 percent increase in requests over that time period. Interior said it processed more than 6,900 FOIA requests during the last fiscal year and had 129 active FOIA cases when the year ended, on Sept. 30. Worth considering the number of public FOIA requests compared to the number of Trump tweets since taking office. Can’t find an official count but here are some published numbers, over 2,500 his first year in office (that we know of, he surely has multiple accounts). Might I suggest in the interest of equity, the public be granted one unencumbered and timely FOIA response for each tweet injected into public discourse by our fact-impaired President? Thanks for the update, Icey. I STILL have an ongoing FOIA 2012 regarding bait/water trapping. Yep … 2012. I have received some data but I know darn well that they won’t/can’t complete my FOIA because the contracts were not followed as per the law. And this is not rocket science – just refusal of the trapping contractors to follow their contract requirements and refusal of the BLM representatives to be sure the contracts were followed. 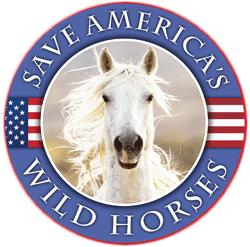 That equals FRAUD against you and me – the American taxpayers and ultimately abuse of the wild horses and burros by the contractors and the BLM.